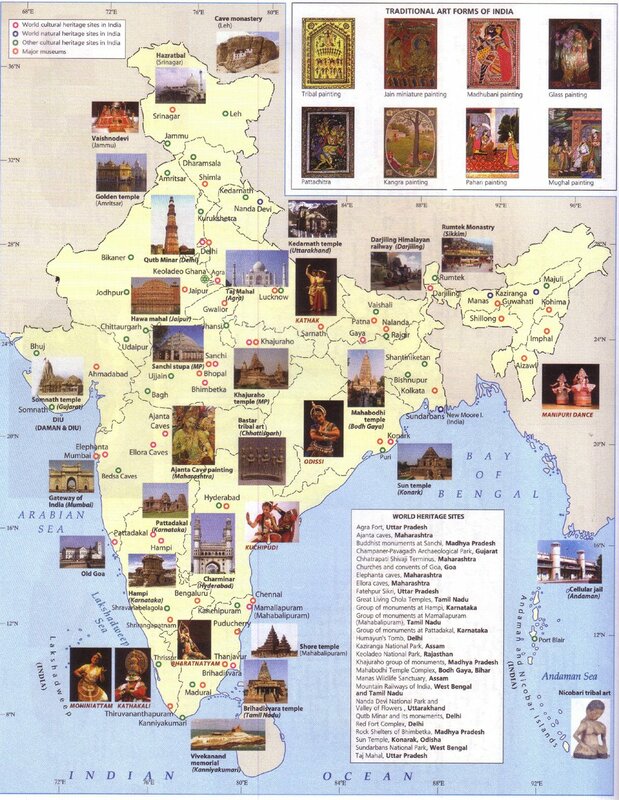 United Nations Educational, Scientific and Cultural Organization (UNESCO) has recognized 32 sites in India as the World Heritage sites, in which 25 are cultural while other 7 are the natural sites. Excellent sculpture and magnificent architecture are evident in these culture sites. Moreover, the natural sites are marked by their exotic wildlife and hypnotic opulence of nature. This heritage map of India helps you locate all the world heritage sites frittered as gems in the crown of Indian terrain.